After carefully considering all the excellent performances at this year's Shakespeare Monologues event, judges crowned Jordan Becknell '21 the competition's winner. Jordan masterfully portrayed Lady Macbeth in Macbeth's Act 5, Scene 1. 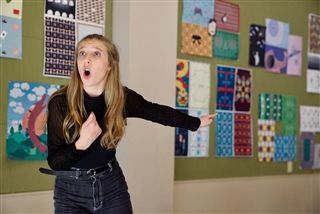 Jordan will go on to compete in the Regional Competition of the National Shakespeare Competition hosted on February 5 at the North Coast Repertory Theater in Solana Beach. Congratulations to Sophia Cofinas '21, second place winner and competition alternate, and Spencer Jones '19, Honorable Mention.